These are doors that can be used in service passing. They are mostly used on cold air rooms requiring continuous entry and exit provide great ease. Could be manufactured in variable size. Could be used on frozen storage or cold storage. Easy to open and close. This model is one of the mostly preferred door type. Being built as 90 x 190 cm. Different coloring and patterns are optionally provided when demanded. 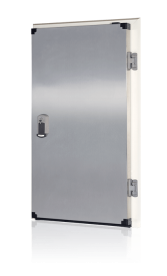 Stylish, modern, long life doors could be used as passing doors for cold storages or offices. 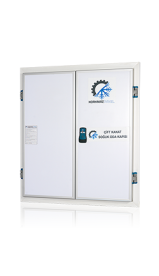 Could be used on frozen storages or cold storages. Easy to open and close It is attached to cold room panel. This door type also is one of the mostly demanded doors. Being built as 90 x 190 cm. Different coloring and patterns are optionally provided when demanded. 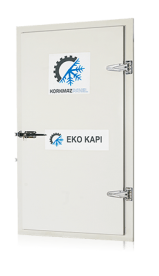 Could be used on frozen storages or cold storages. Easy to open and close, this is one of the mostly preferred door type. 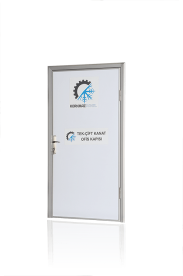 Monolithic Wing CRNi Cold Room Doors are being built as 90 x 190 cm. Different coloring and pattern options are provided when demanded. Could be used frozen storage or cold storage. Easy to opening and closing. This is mostly preferred door type. Monolithic Wing Cold Room Doors are being built as 90 x 190 cm Different coloring and patterns are optionally provided when demanded.